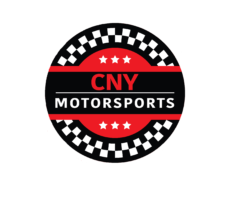 EAST CONCORD, NY – BEI Lightning Series Technical Director and Head Tech Inspector Thomas Gregory is announcing his findings following the Series’ co-sanctioned events at the North Florida Speedway in early February. Friday night’s program started out with the #97 of Bobby Hackel and the #24 of Ryan McCartney were both light at the scales following time trials. The #43 of Mike White came across the scales with a rev box set to 6100rpm. All three were penalized by starting scratch in their qualifying heat races. Post-race tech was performed in the infield on the top five finishers and included valve springs, water pumps, harmonic balancers, engine seal bolts, and rocker arms. The #97 of Hackel, #3 of Cole Hentschel, and #20k of Kyle Inman tested within the legal limits of the 2018 DIRTcar Northeast rulebook. The #9j of Danny Johnson and the #99 of Craig Whitmoyer were found to have water pumps not meeting the 2018 DIRTcar Northeast guidelines (aluminum). Both drivers were disqualified but this ruling was overturned by GRIT Series officials and North Florida Speedway management. Gregory then explained what happened on Saturday night. “Saturday’s time trials showed the #43 of Mike White having his rev box set to 6100rpm again, and the #14NY of Danny Johnson Jr having a chip-style rev box. Both competitors were made to start scratch in their heats. After checking the rev box of the #43 post heat, it was once again 6100rpm, he was put tail for the feature. Feature tech put the top 3 in the tech barn to check for lightweight driveline components, carburetors, and suspensions/springs. The #91 of Bobby Flood, the #97 of Bobby Hackel, and #20k of Kyle Inman all met guidelines put forth in the 2018 DIRT rulebook”. “Sunday’s time trials and heats had no infractions. Feature time put the top 3 finishers in the tech barn checking for rear end lockers, valve springs, carburetors, lightweight driveline components, harmonic balancers, rocker arms, and suspension/springs. The #20k of Inman, and the #1X of Brian Mady both passed meeting the guidelines set forth in the 2018 DIRTcar Northeast rulebook. The #9J of Johnson was disqualified for driveshaft yokes not meeting the 2018 DIRTcar Northeast rulebook (aluminum). All tech was overseen by a minimum of one (1) representative of each team, as well as North Florida Speedway tech official Pete Close Jr.